Anthony joined us in 2017 with over 10 years’ experience of working in trusts. 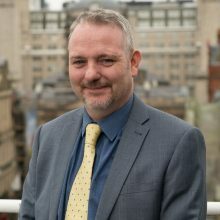 Most recently he has been employed as a Trust Manager for Grant Thornton, leading the team in their Leicester office and then moving to the North West region in 2016 and working between the Liverpool and Manchester offices. Previously Anthony worked for RBS Trust Company as a senior trust officer, being promoted to trust case manager on completion of the STEP diploma and then a further promotion to manager. He is experienced in dealing with a wide variety of trusts and the related accountancy, tax compliance and trust tax matters and has particular expertise in understanding issues from the perspective of a professional trustee. Anthony is also a committee member of the Liverpool branch of STEP. In his earlier career Anthony was a professional photographer at Shepperton Film Studios and also appeared in the very first episode of Silent Witness!